Feel-Good Moments Are Here. What Are Yours? This year, spring has arrived early and I am excited. Lush fields, gardens, and flowers have once again ignited my passion to capture nature’s beauty through photography. It is a good feeling, medicine to my soul. I love to share what I see through my little Sony lens, to spread “feel-good” moments. But like many of you, I have limited time to pursue my passion. Obstacles are always present. I am learning, though, to seize small opportunities. Fifteen to thirty minutes, even five minutes heightens my spirit. I hope you take time for whatever bliss makes you happy. Here are two of my favorite images taken while seizing a twenty-minute opportunity. I would love to hear what you are passionate about and how you find time to enjoy it. 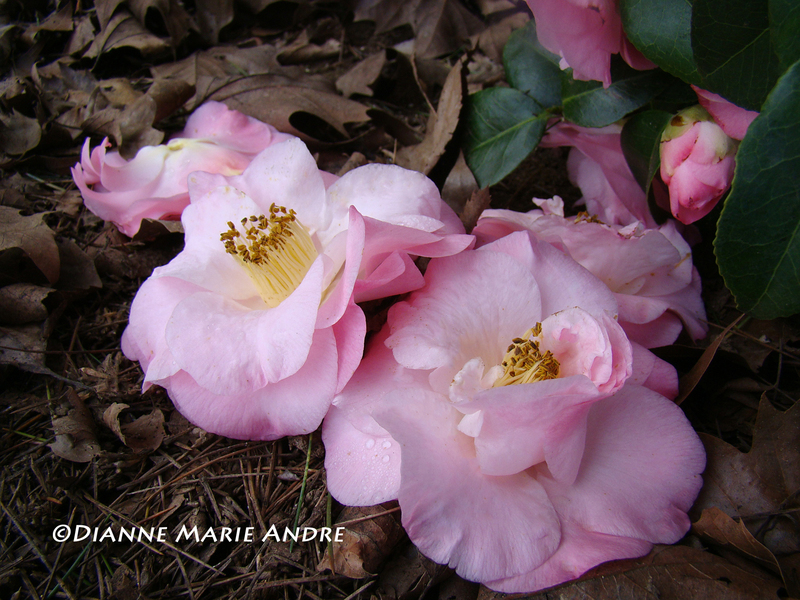 This entry was posted in Blog and tagged bliss, camellias, flowering plum trees, nature's beauty, passion, photography, Spring. Bookmark the permalink. 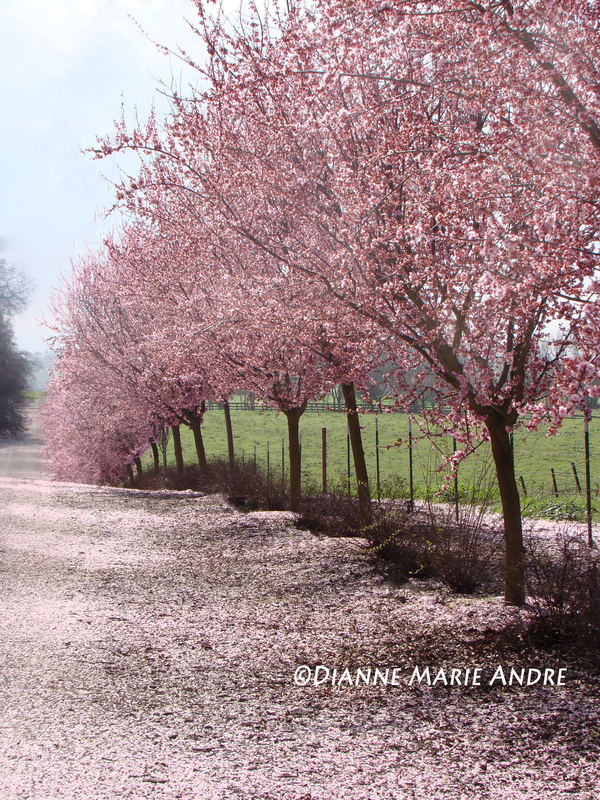 The flowering plum trees line the west side of the private road where I live. I commend you for your passion choices. Thanks for sharing.